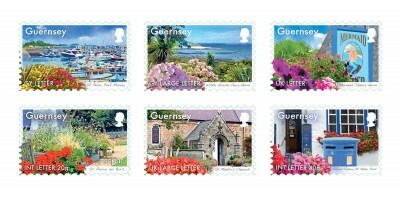 Gsy Letter (41p) - St Peter Port Marina Gsy Large Letter (54p) - White House View, Herm UK Letter (55p) - Mermaid Tavern, Herm Int Letter 20g (66p) - St Pierre du Bois UK Large Letter (74p) - St M..
New Stamps from Small European Postal Administration Cooperation, SEPAC Since 1996 a number of small European Postal Administrations have cooperated in a group called SEPAC. Today this group includes.. The Royal Horticultural Society’s Britain in Bloom is one of the largest horticultural campaigns in Europe, involving over one thousand communities across the UK each year. Cities, towns and villages involved create lasting improvements to their local environment for the benefits of those who live, work and visit there. 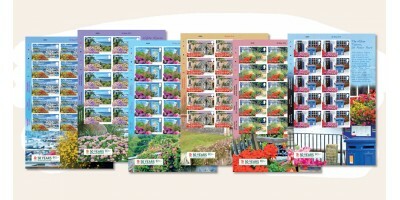 To celebrate the 50th anniversary of the Britain in Bloom campaign we are delighted to showcase just some of the Bailiwick’s recent Gold Award winners on our stamps. 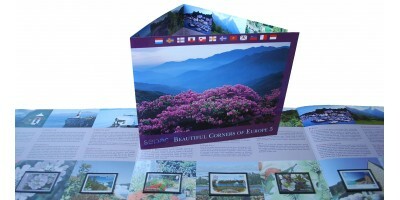 The images have been captured by world renowned clematis nurseryman and breeder, Raymond Evison OBE VMH. 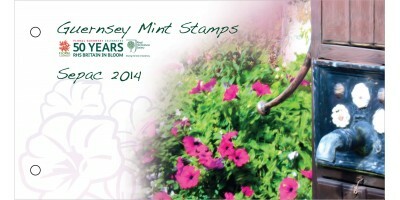 The Bailiwick of Guernsey has enjoyed huge success at the Britain in Bloom Awards over the years. 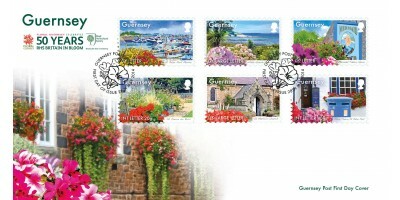 In 2013, Guernsey's St Peter Port "The Town", won its first Gold Award from the local judges and tiny island of Herm, Guernsey’s neighbour, also won a Gold award in the prestigious Champion of Champions category. The team at St Martin’s Parish has won numerous Gold awards over the years including the small town section in 2011. St Pierre du Bois’ national Gold award showed what can be achieved through restoration and community work on church land.